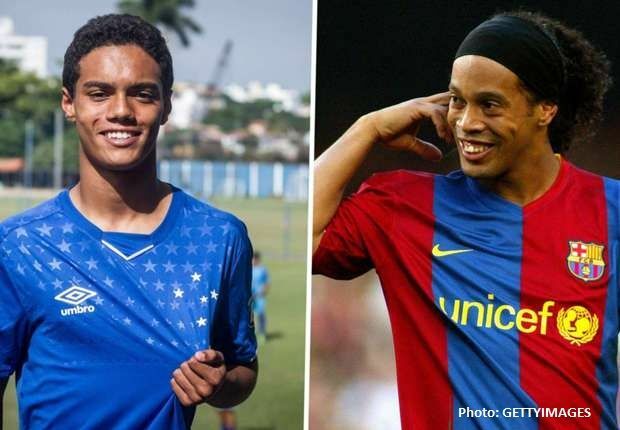 Brazilian player Ronaldinho's son Joao Mendes 14 years old, signed a contract with "Cruzeiro". Brazilia football club signed a 6-year contract with new Ronaldinho. Official member of "Cruzeiro" said his opinions about Joao Mendes: "He has interesting characters. When he joined this team, he did not say that I am the son of Ronaldinho. As far as I am concerned that he will soon join the professional player side of the team." He was born in the Rio de Janeiro on 22 February 2005. He has a 1,78 height. Last year he played in the youth team of "Cruzeiro" without any contract.